Home of Bernard Bender and his wife Anna Maria Stepla in 1850. He was born in 1827 in Germany and settled in Chicago in 1849. Bernard died 13 October 1866 and was buried in St. Boniface Cemetery. For further details, contact the Chicago Genealogical Society. 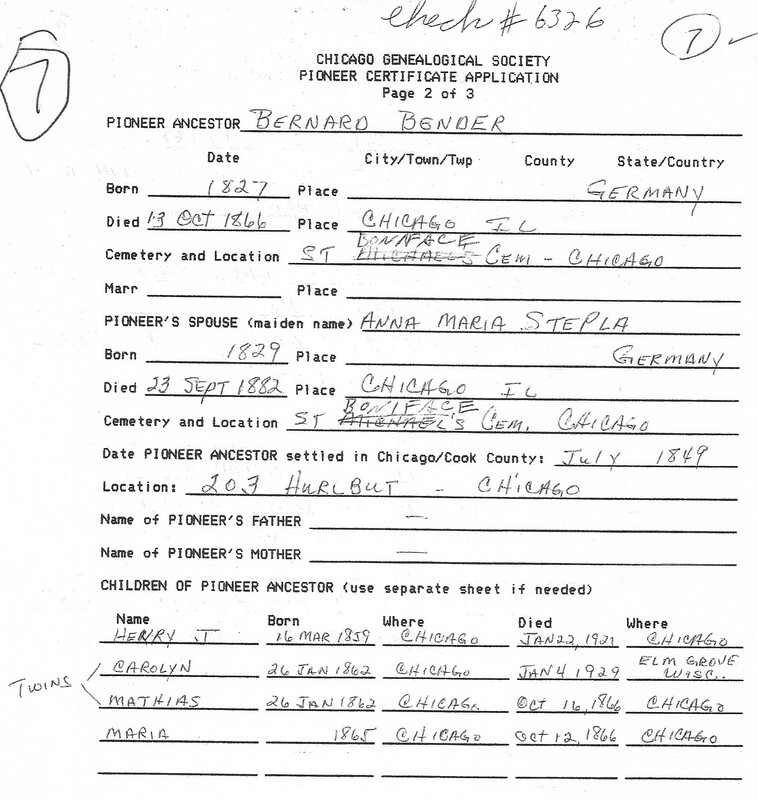 Bernard Bender is Pioneer Ancestor number 7.